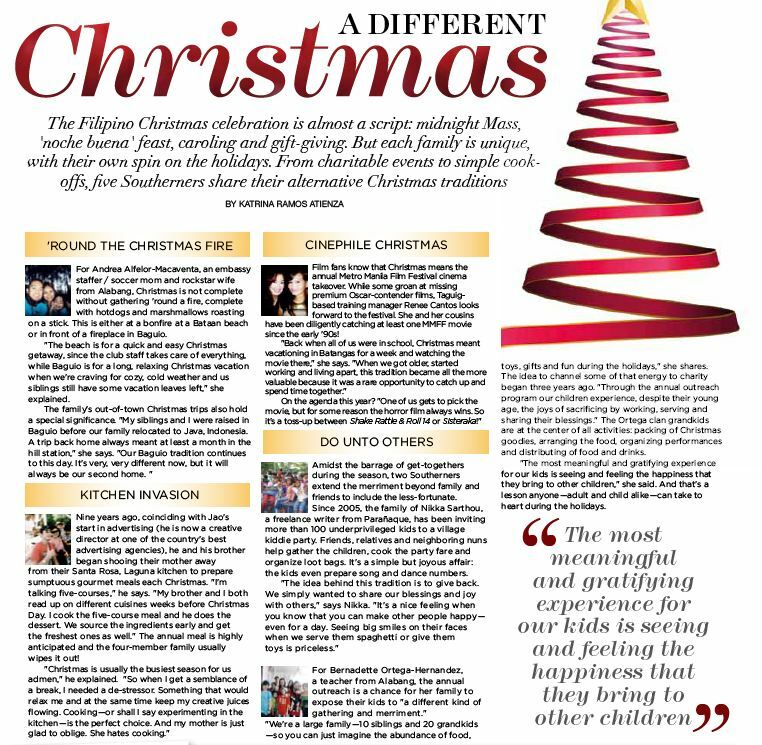 While the holidays have their own collective activities, we all have our own Christmas traditions unique to our families and friends. In this article, five Southerners share their own special traditions, from gourmet cook-offs to movie bonding and charitable parties. Click to read the full article.